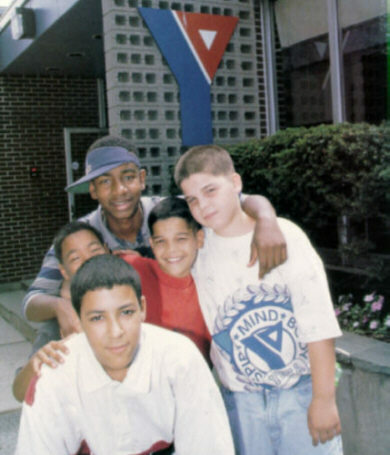 The National Y magazine, Discovery YMCA, highlighted the Ys Youth Development program in a past edition. The color cover photo and five-page story featured the programs multi-faceted elements including ESCAPE to the Arts, Teen Leaders/Future Leaders, and Great Hollow Wilderness School. 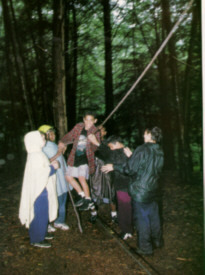 Following are some text and photo excerpts from the article, "Evolution of a Youth Program", by Steve Hockensmith. program called Positive Youth Development has become a classic example of positive program development. 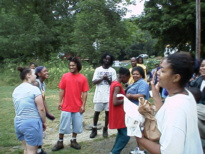 Born as a lecture-based adolescent pregnancy program, it has mutated over the last few years into a comprehensive youth outreach effort that includes a new teen center, a Teen Leaders club, a busy fine arts studio, and a 1,000 acre site for adventure-based youth programs." they were sponges who needed more and more." "After some major tinkering, the program was reshaped into the Teen Leaders Club. Targeting at-risk kids between the ages of 10 and 17, it focuses on life skills, homework assistance, community service, and self respect. During the school year, there are after-school club activities every day until about 7 p.m. Tutoring, discussions of teen issues, guest speakers, and, of course, free time in the gym and pool are a regular part of the club routine. (Over the summer, activities are scheduled from 1 to 7 p.m. each day.)" 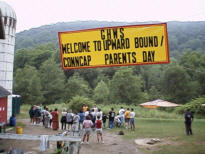 The second part of the youth program is the Great Hollow Wilderness School. 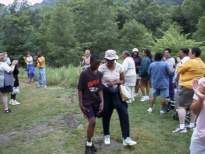 "Located on 1,000 acres of land not far from the Ys Greenknoll Branch, Great Hollow specializes in adventure-based leadership development programs for low-income youth." The final day of a 10 day experience for 15 middle school kids - a 6 mile run through the woods topped off by a graduation barbecue and story-telling. Nothing but proud kids and prouder parents! provides fine arts classes and opportunities to kids in low-income communities. They offer courses in pottery, drawing, painting, and sculpture, frequently working closely with the Teen Center and its staff." will get hooked into another, and maybe all three. Each additional hook increases the odds that the kids will stay in school and out of trouble. The programs accomplish a lot more together than they do when theyre separated, she said. Youre always going to get a real mix of diverse kids. If youre going to keep them coming back, youd better have a mix of diverse programs. "